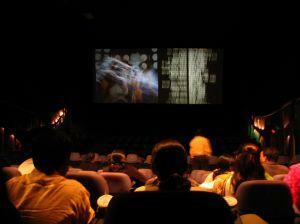 Discount movie theaters provide an inexpensive movie experience with recently released movies. If you are looking to shave a few dollars off of your entertainment budget, then locating one of these theaters is beneficial. What are Discount Movie Theaters? This type of movie theater is not going to be your first choice when that blockbuster action movie is released or the most anticipated romantic comedy of the decade is finally shown in theaters. Discount theaters often get movies two or three months old or movies that quickly disappeared from the theater scene. To balance the wait out, prices for the tickets go down dramatically. You can find ticket prices ranging from two to five dollars, which is significantly below the seven dollar average ticket price in the United States. Take into account that some ticket prices hit twelve dollars in larger cities like Chicago and New York, and you have a huge incentive to seek out these movie theaters. What Are the Best Discounts Senior Citizens Receive? Some theaters are called "dollar" theaters because any movie they show only costs one dollar for the ticket. Depending on where you live, these dollar theaters may get movies that are only a month old. The reason is that if a popular movie doesn't do well, it's time to rotate it out with some other new release. Most often, these dollar theaters are affiliated with a big chain like Marcus, Cinemark or AMC, so they are still making some kind of return on the discontinued movie. Discount theaters make money just like the other theaters: through concessions and advertising. While some of the price of the movie ticket counts for the cost of food, movie theaters make most of their profit from the food and drink movie-goers purchase. Another source of revenue is advertising. Recall those ads before the movie? Companies and local business pay to showcase their products and services on the screen. Very rarely do movie tickets balance out the cost the theater paid for the reel. If that does happen and the theater moves the film to one of its discount theaters, then they are just adding on to the ticket sale profits of that particular movie. There's nothing wrong with that, just business…especially if the movie is still popular. Finding a discount theater might be harder than that proverbial needle. These type of theaters often appear in the larger cities or the suburbs of metropolitan areas. Smaller towns are usually just out of luck. If you already live in a big city like New York or Los Angeles, then type "discount movie theaters in [your city here]" in the search bar. Google will pull out any theater that has been designated discount and show you where they are located on a map. Live in the suburbs? Then it's almost as easy as the first tip. Type "discount movie theaters in [your zip code]". Not only will it display theaters in your zip code, but also those in nearby zip codes. If you live further out than the suburbs, there is a phrase you can use, which is a subtle difference than the previous two, but it works. In the search bar, type those same first three words, but add, "near [your zip code]" to the end. The area coverage might be pretty large, but at least you'll have an idea on where to go. If a little discount isn't satisfying to you and you'd only like to find a dollar movie theater, then just replace the search phrase with "dollar movie theater." Finding an inexpensive movie ticket is attractive to those on a budget. If you don't mind waiting a couple of months to watch the new hit movie, then who's to say that you aren't keeping up with the latest movies? Besides, going later beats those big opening night crowds.